"We’re making it easier for people to find news and information from their local towns and cities. 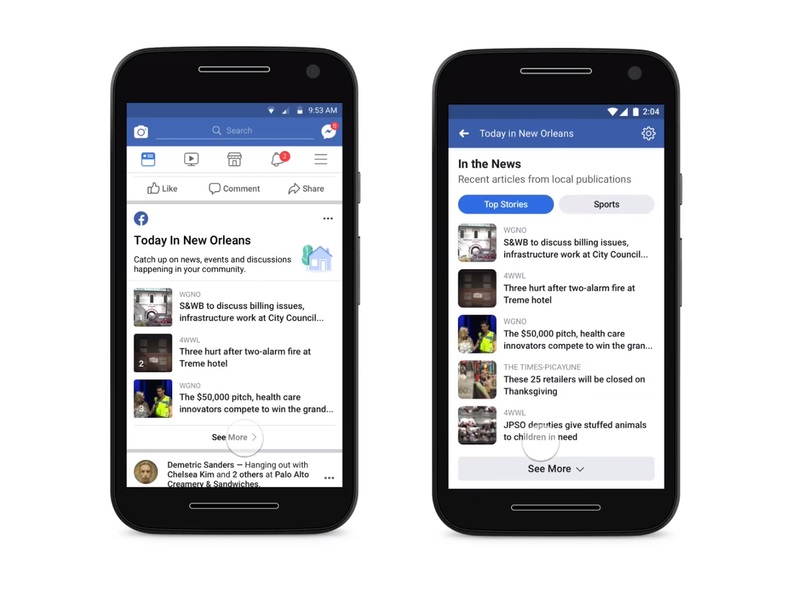 Today we’re announcing the expansion of a new local section on Facebook called “Today In” and starting a test for local alerts from relevant government pages. ", announced Anthea Watson Strong, Facebook's Product Manager for Local News and Community Information, in a blog post. She added further, "Today In connects people to local news and information about their community. It is now available in over 400 cities in the US, and we have launched our first international test in Australia. In addition, we have started testing Today In in communities located in news deserts, places that have low supply of local news and community information, by supplementing with relevant content from surrounding areas."